Did Benzino Make Threats Towards His Ex-Cast Mates? Previously, it was reported that Benzino was fired from "Love & Hip Hop Atlanta". Many were confused as to why he and Althea was fired and not Joseline and Stevie J. Recently, on November 20th it was reported by TMZ that Stevie J accused rapper Benzino of threatening some of his ex-cast mates and the producers of "Love & Hip Hop Atlanta". Stevie J told TMZ that Benzino has threatened the lives of him, his wife, the producers and the staff of the reality series. He said Benzino flat out said he was going to kill them. 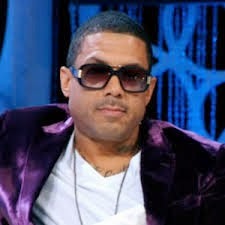 According to TMZ, the threats were too much for VH1 and that's why Benzino was fired from the show. Benzino made it clear following last season's reunion that he no longer wanted to be on the show. He said his character and friendship is more important. He should be glad he's no longer on the show.